*Holiday Club South Africa* is a timeshare club offering vacationers an opportunity to stay at some of the finest resorts with accommodations and amenities you won't find at a hotel; and you can do so at around the same price - in exotic South Africa! Buy timeshare for less! 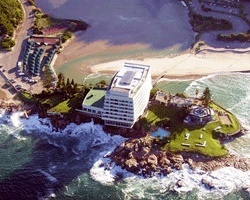 A Holiday Club South Africa timeshare resale allows you to own a resort condominium or villa at below resort prices. You pick the time, you pick the vacation resort! Amazing resorts network in South Africa! 8 annual points for exchange! Buyer receives complimentary closing credit; inquire for details! Travel around exotic South Africa! 30,000 yearly points for exchange! Buyer may receive a title fee credit; inquire for details! 15,000 annual points! Endless locations to choose from! Buyer May Receive A Title Fee Credit, Inquire For Details! Sale includes 30,000 annual points with 49,000 Points currently available! Buyer May Receive A Title Fee Credit, Inquire For Details! 15,000 annual points! Points can be used anywhere in the Holiday Club South Africa network! Buyer may receive a title fee credit! Inquire today!